This blog post will show how a functional web application can be built with Elixir and Phoenix in a few, simple steps, without requiring a deeper understanding of functional programming or the Erlang/OTP system. A small demo application will then help us understand how the Phoenix framework works and appreciate the technical merits of the Elixir ecosystem. Follow–up blog posts will provide deeper insights into the framework and its components, such as Plug or Ecto. Special attention will be paid to connecting the web application with the document database CouchDB. Elixir is a dynamic, functional programming language that leverages the Erlang VM (BEAM). It has a modern syntax that borrows from languages such as Ruby and supports advanced meta programming features, facilitating a smooth entry into the world of Erlang and its interesting runtime characteristics. Erlang is a functional programming language that has been developed to build highly available, “always–on” systems in the telecommunications domain. It is well known for its resilience, its transparent approach to building distributed systems and a developer friendly handling of concurrency (Actor Model). The ecosystem around Elixir is still comparatively small, but is being quickly developed by a growing community of enthusiasts. 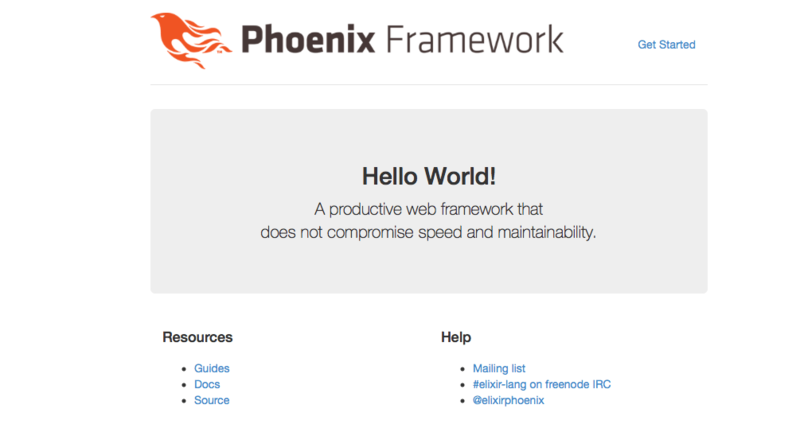 The web application framework Phoenix is one of the products that this community has spawned. It greatly simplifies the development of high–performance HTML5 apps, API–Backends and websocket applications. When we first checked out Phoenix, it became apparent that database adaptors exist mainly for relational databases and MongoDB. In order to stay within the Erlang ecosystem and to leverage the features of a document database, we decided to integrate with CouchDB. CouchDB is a NoSQL database, developed in Erlang, that stores JSON documents and exposes its functionalities through an HTTP API. Having found no readily available database connector that fulfilled all of our requirements triggered our decision to develop our own CouchDB connector in Elixir. The current release of this connector supports basic create, update and read operations, as well as rudimentary view operations. The code has been published as an open source project on Github. After creating the files and folders that make up the project structure, the mix tool prompts us to download and install a set of dependencies — later on we will see where these are declared. We will be greeted with the page shown below. Phoenix has a very useful Live–Reload feature. A change that we make in the currently shown page will immediately become visible in the browser, without us having to manually trigger a reload of the page. The config folder contains project configuration files. Some dependencies also expect their configurations to be stored here, an example being credo, a static code analysis tool. The configuration mechanism also supports different settings per environment by simply storing them in the appropriate config files: dev.exs, test.exs, etc. These .exs files (Elixir scripts) are compiled in memory each time they are run, which makes them ideal for storing configuration details and scripts that change often during development. Some other, less frequently changing configuration artifacts live inside the lib folder. The .ex files in this folder are compiled to .beam files and then loaded into the Erlang Virtual Machine (BEAM), which makes these files useful for storing higher level, less frequently changing configurations, such as endpoint and OTP supervisor/worker config. For performance reasons, such types of configurations should therefore be stored in lib or subfolders thereof. The Phoenix framework implements the well–known Model–view–controller architectural pattern (MVC). The web folder contains MVC artifacts like controllers, models and views. In contrast to other MVC frameworks, such as Ruby on Rails, Phoenix differentiates between templates and views. 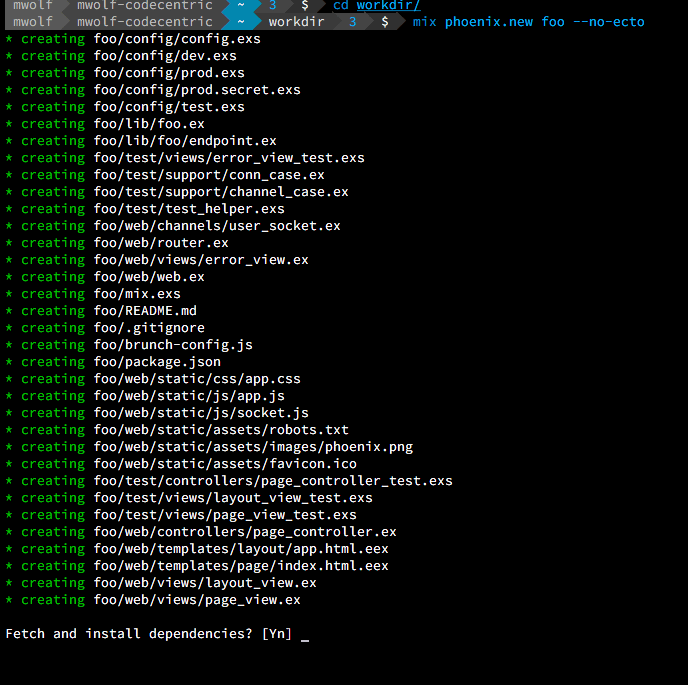 The Templates are getting pre–compiled, which helps to reach the high performance that Phoenix has to offer. Routing information is stored in router.ex. It contains a mapping of request paths to controller functions. An example configuration (brunch-config.js) can be found in the demo project, which we will introduce next. We have thus far looked at an essentially empty, yet functional walking skeleton project, which already showed some of the ways of working with Phoenix. However, a real–world demo application allows us to address more of Phoenix’s features and characteristics. Such a demo application has been made available in a Github repository. Here, we have made use of the mix build tool to resolve and download the project’s dependencies. mix can also facilitate creating, compiling and testing Elixir projects. We will see more of it in future episodes. In a small number of simple steps, we have created a functional web application and shown how easy it is to make changes that are immediately visible, thanks to the perfect implementation of Live–Reloading. This feature is a real productivity boost. 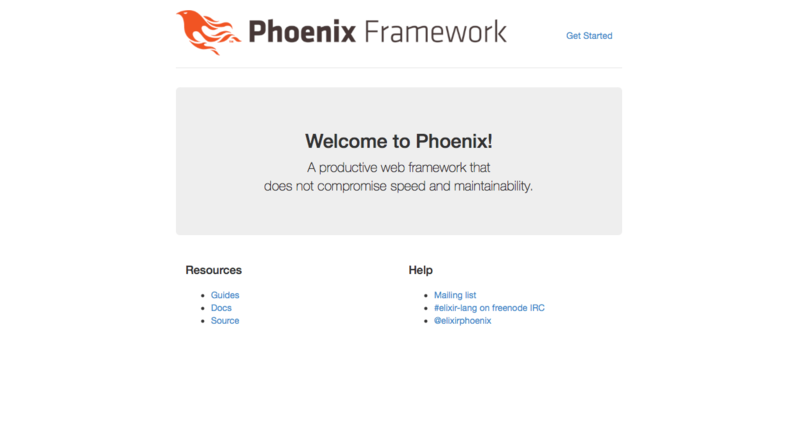 Another nice trait is the excellent performance of Phoenix web applications. Check out these impressive benchmarks to appreciate its throughput and latency figures. 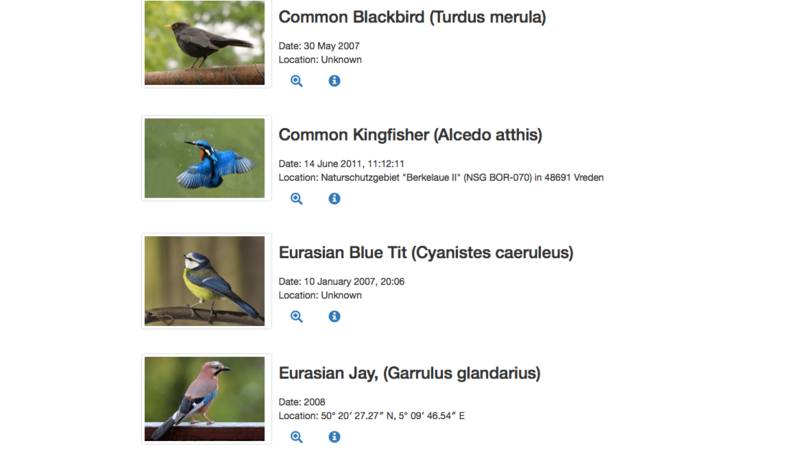 We will continue development of the demo application “Bird watch” in follow–up blog posts and show more of the advanced functionalities and characteristics of Phoenix, Elixir and OTP. Elixir — Where is your state? You have to install the elixir and couchdb packages for example with “brew install elixir ; brew install couchdb”. Also before starting the server with “mix phoenix.server” an “npm install” is required.